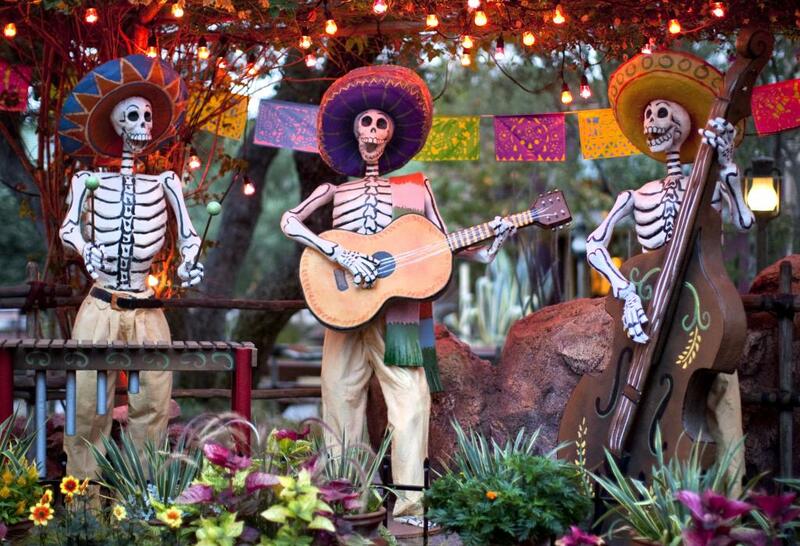 If you really want to be terrified, you’ll find plenty of scary Halloween events to choose from in the L.A. area, but if you prefer the side of Halloween that’s more about candy-fueled fun, there’s Disneyland. The theme park’s annual Halloween Time festivities start September 15 and run through October 31. 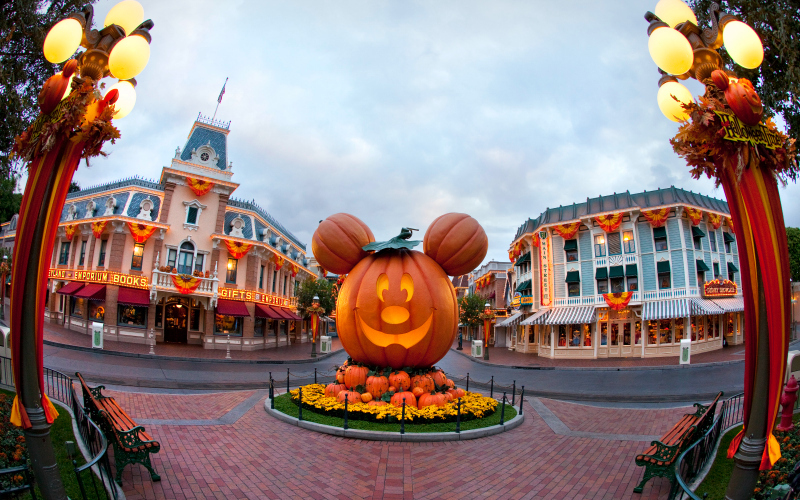 At Disneyland, the Haunted Mansion and Space Mountain have been given their Halloween makeovers, and Main Street is hosting its annual pumpkin festival, featuring hundreds of hand-carved jack-o-lanterns. The big news is that, this year, for the first time ever, the Disney California Adventure Park is also getting in on the holiday action. And so, since we know you’re dying to know, here’s what should you expect from a haunted version of California Adventure. 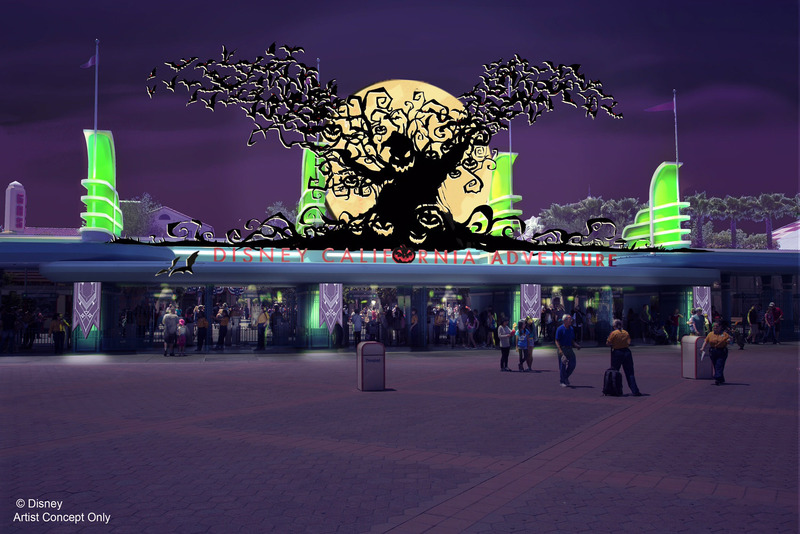 A giant silhouette of Oogie Boogie from Tim Burton’s The Nightmare Before Christmas peers down at arriving guests, and the stores along Buena Vista Street are all decorated for Halloween. There’s also a new statue of the Headless Horseman, creepy new background music, and plenty of Disney characters dressed in Halloween costumes. During the day, guests will experience the Guardians of the Galaxy – Mission: BREAKOUT! ride in its usual form, but each evening it will transform into a new attraction called Guardians of the Galaxy – Monsters After Dark. In Cars Land, nearly everything has been renamed with a silly Halloween pun and redecorated appropriately. Radiator Springs becomes “Radiator Screams,” gas pumps become “pump-kins,” the cars wear “car-stumes,” Mater dresses as a “van-pire,” you get the idea. Hungry? Dare yourself to bite into a Spider Silk Ice Cream Sandwich or a Bat Wing Raspberry Sundae at Clarabelle’s Ice Cream shop, try the Car-achnid Pot Pie at Flo’s V8 Café (you were warned about the puns), or pick up a Mickey Bat Cookie or some candy corn-flavored cotton candy at locations throughout the park.